2019 has already started out on a recording breaking pace with a total of 4 closed sales, 2 closed Emerald Bay sales Q1 2019 with 3 Emerald Bay properties currently in escrow, pending sale. Since joining Compass, the most well-funded real estate brokerage firm in the world, my team and marketing platform are prepared to deploy our vision for continued success in 2019! 2018 finished with another record year of accomplishment. Every year since 2011 and through 2018, I have sold more Emerald Bay property than any other agent. With over $1 Billion in sales, I am again recognized as one of the top 10 agents in Laguna Beach. In addition to my local neighborhood Emerald Bay business, my continued expansion into the neighboring coastal luxury and private residential communities continues to thrive. Most notable are transactions recently completed in the communities of Irvine Cove, Bayshores, Newport Coast, Ocean Heights, Big Canyon and Three Arch Bay. 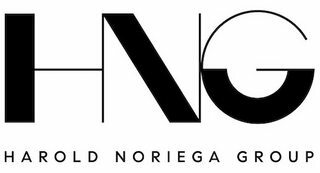 2018 marked The Harold Noriega Group's addition of two new team members; Caroline Ossenmacher and Michael Brinkley. Caroline a local Laguna Beach resident specializes in her neighborhood area of Woods Cove and is having a successful year in her market. 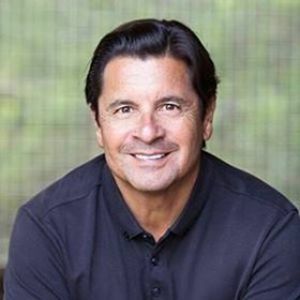 Michael has just returned from playing professional volleyball in Europe and has recently retired from the USA Men's Olympic Volleyball Team and is focusing full time in residential real estate sales specializing in the Newport Heights neighborhood of Newport Beach. Together with existing team member Ann Ackerman with her focus in Newport Coast, 2018 has been a successful expansion year for the Team. On a personal note, 2018 marks a milestone in the achievement of one of my long time personal goals. In May of 2018 I competed in my 14th USA Open National Indoor Volleyball Championship, which was held in Dallas, Texas. 2018 represents my 13th time on the podium as a National Champion and my eight consecutive USA Open National Championship title. "To win just one National Championship was a dream come true. But to be fortunate and healthy enough to continue to compete and win 13 championships is something that I never thought could happen. This is certainly one of the most cherished honors that only could have been achieved by a total team effort from each and every one of my teammates. "Thank You" to all our valued clients who continue to share in our success! "See you on the Podium!"